Cities are often places of great energy and optimism. They are where most of us choose to live work and interact with others. As a result, cities are where innovation happens, where ideas are formed from which economic growth largely stems. 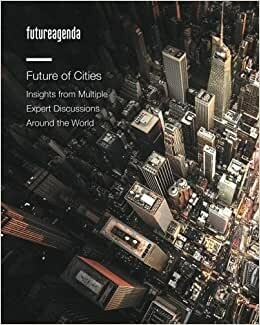 Although wrestling with difficult challenges, sometimes individually but more often collectively, cities are able to address some of the most significant challenges facing society today. City councils around the world are reducing air pollution, banning diesel cars, introducing smoking bans, bicycle rental schemes and even imposing sugar taxes in order to help citizens make better lifestyle choices. Often nimbler than nation states, cities such as Paris, London, Mexico City, Aspen and Copenhagen are becoming test-beds for innovation that is then shared from one to another. There is much to be done and many city leaders are working on the challenges. However, as a steadily rising global population approaches 70% urbanization, the problems are now accelerating. City leaders today have to react quickly to accommodate vast influxes of people. There are many priorities; the provision of basic services - housing, water, sanitation, schools and hospitals; the establishment and maintenance of effective transport and technology infrastructures; the delivery of fair and effective policing; and the creation of an attractive business environment. The list is considerable. Now, perhaps more than ever, city leaders are seeking to better understand, share and explore options and future directions. No two cities are the same, so there is no universal blueprint on how best to design, manage and support urban growth. But experiences can be shared, lessons learned, models debated and new perspectives discussed. The Future Agenda team facilitated twelve high-level discussions in different cities around the world to explore this topic. This report provides an analysis of these and associated discussions and aims to provide context, highlight issues and provide insights around some of the key opportunities for positive change. Start reading Future of Cities on your Kindle in under a minute. Dr. Tim Jones Tim is a recognised expert in innovation, growth and futures. He is the author / editor of ten books and a regular speaker on innovation leadership, growth platforms and future trends. For over twenty-five years he has worked with many leading multinationals, governments and universities identifying emerging opportunities: A leader in collaborative programmes, Tim has made his name in helping organsiations to see the world through a different lens and so reveal new areas for potential growth. He is Programme Director of the Future Agenda - the world's largest open foresight programme.